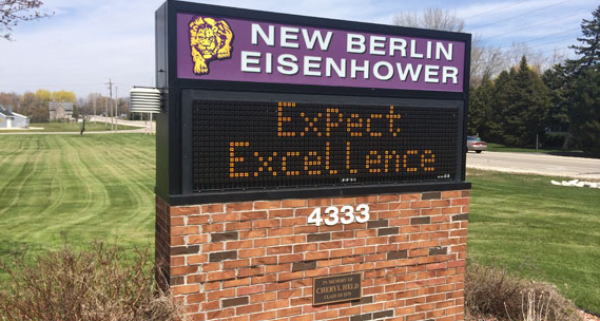 New Berlin – The New Berlin School District has won the Lighthouse Award, the highest recognition given by the Wisconsin School Public Relations Association.The district earned a perfect score for its 2014-15 district annual report. Although the association gave Spectrum Awards to 30 school districts, it annually gives only one Lighthouse Award.Spectrum Awards recognize high-quality public relations efforts produced by or on behalf of Wisconsin school districts.The report was developed by the district’s communications department and Foundry, a graphic design company.“Spectrum Award winners exemplify the very best communications work in school districts across the state,” association president Sarah Heck said in a news release. “The winners demonstrate the value of engagingstakeholders in order to build community support for Wisconsin’s public schools.”ADVERTISINGinRead invented by TeadsThis is the second consecutive Award of Excellence for the district’s annual report. The 2015-16 annual report will be eligible for next year’s competition. The state association’s Spectrum Awards are judged by members of the Illinois School Public Relations Association on a four-point scale in four areas: goals and objectives, research and planning, execution and evaluation and results. The Wisconsin School Public Relations Association (WSPRA) is a professional association representing schools, school districts, educational associations, consulting agencies and organizations. It is a state affiliate of the National School Public Relations Association. New Berlin - The New Berlin School District has won the Lighthouse Award, the highest recognition given by the Wisconsin School Public Relations Association.